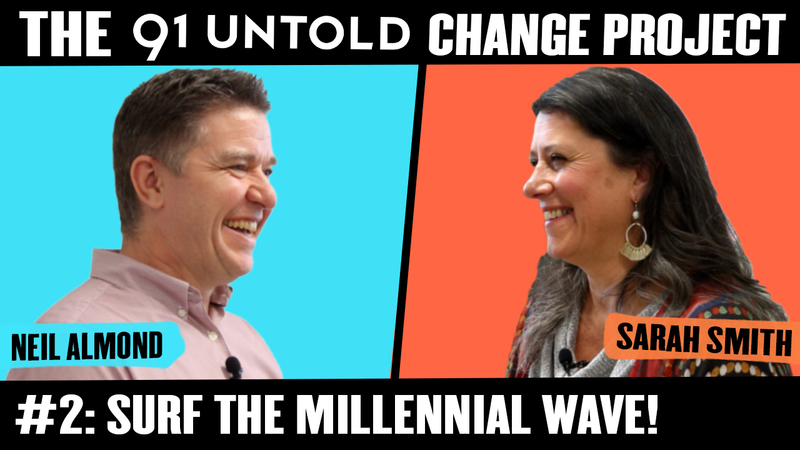 In this episode, Sarah challenges the myth that millennials are demanding different conditions from the rest of us, suggesting that you’d be hard pressed to find a member of Generation X who is asking questions about how they could flourish more effectively in the workplace. Millennials may be shaking things up, but actually it’s potentially all of us who benefit. Sarah also talks about the importance of vulnerability in Leadership and shares some Positive Psychology-inspired interventions that individuals and organisations can make in order to foster the conditions in which workers can flourish, grow and tap into their full potential. Sarah has vast experience of working as a coach and consultant within organisations, and this shows through in the practicality of her comments. Leaders don’t need to know all the answers, but the behaviours they model are reflected through the organisation. Sarah is an internationally experienced organisational development consultant and executive coach with over 20 years’ experience in facilitating the development of individuals, teams and organisations, specialising in senior management and director level. She has worked with a wide variety of organisations in the private, corporate and public sectors including defence, life sciences, legal, media, retail and built environment. Her client list includes organisations such as Warner Bros, Rocksteady, LGC Group, Countryside Properties, the Fire and Rescue Service, the Cabinet Office and the Royal Institute of Chartered Surveyors amongst others. Sarah works with clients to help them realise potential and facilitate change. She has supported large scale organisational restructures and culture change programmes, through to facilitating deep change work with teams and individuals. Sarah works regularly as an executive coach, designs and delivers Executive Education and Development Programmes, is a contributor at industry events speaking on topics such as Ambiguity and Leadership, Emotional Resilience, Wisdom and Courage, and is Commissioning Editor at The Oxford Review. Prior to moving into consultancy Sarah was Deputy Head of Professional Development at Cranfield University for four years. She has continued to work with Cranfield University as a course coach and visiting lecturer, and also teaches at Roehampton University, sharing her experience in applying psychological concepts in a business environment. Sarah has a MSc in Positive Psychology, a Diploma in Performance Coaching and a BA (Hons) in Education. She is qualified in a range of psychometrics including EQi 2.0 (Level B, MHS), SDI (Personal Strengths Ltd) and Myers Briggs Type Indicator (OPP). She is also a Practitioner, Master Practitioner and Master Trainer of NLP, and a researcher of all things wisdom related.